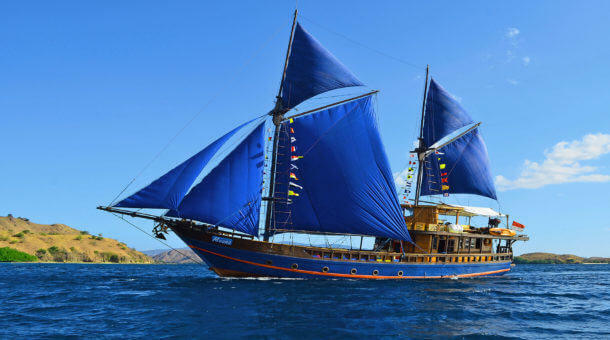 Komodo Liveaboard Diving - Raja Ampat Liveaboards - The Best Diving in Indonesia! Indonesia is a huge and varied country above and below water. Within it’s borders, Indonesia boasts more than 15,000 islands, most of them uninhabited, and many barely explored. 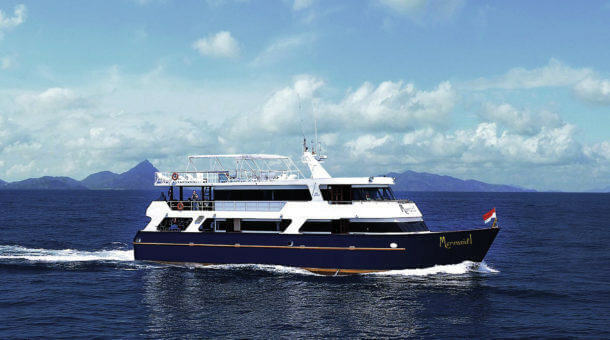 The vast expanses of island dotted tropical ocean are now very popular for liveaboard trips. 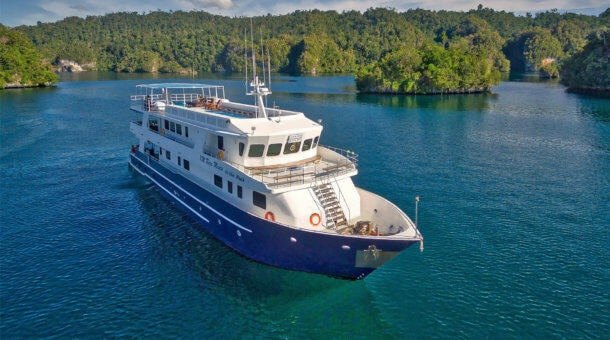 The Indonesian liveaboard options below range from shorter diving trips around Komodo to full blown adventure cruises around the remote islands of Raja Ampat and everything in between! If you can’t find the right boat here, please contact us and tell us what you are looking for. This will save you a lot of time surfing the vast oceans of the world wide web! As one of Asia’s top independent liveaboard specialists, we can help you find the right Raja Ampat or Komodo liveaboard to suit your needs. You can make a Liveaboard Search or check the boats below. No time to search? Just send us a quick enquiry and we’ll reply soon! 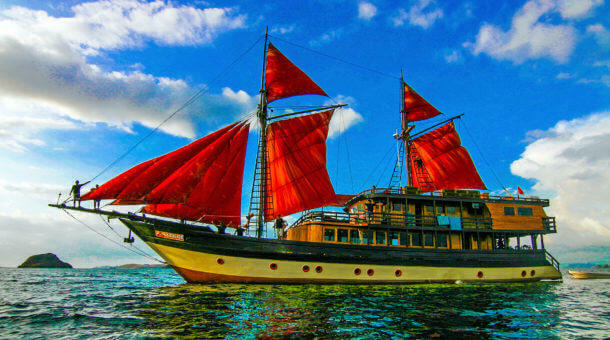 Indonesia Liveaboards - Contact Sunrise Divers! This information should give you an idea of which boat suits your preferences and budget. If the schedules don't suit you, or if you are looking for something different, contact us and we will try to provide you with information on other boats. 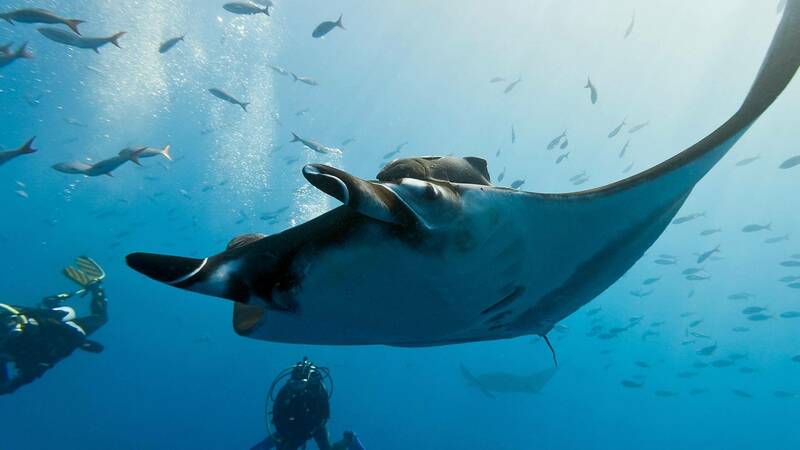 The new luxury Blue Manta just started trips at the end of 2015, and the Raja Manta started in August 2016. If you have any questions about liveaboard diving in Indonesia, please do contact Sunrise Divers. 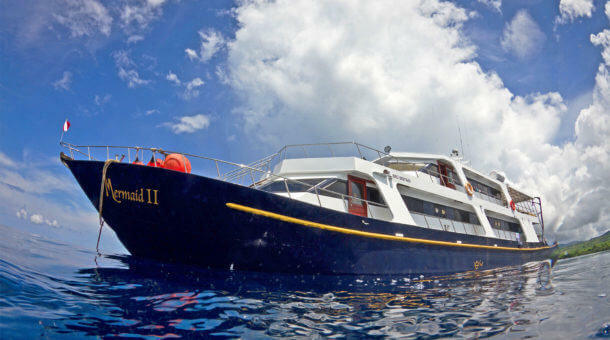 Most liveaboard boats are also available for charters. If you have a group of divers or if you're trying to book dive club trip why not book the whole boat? This gives you more freedom to choose dates, dive sites and destinations, and more flexibility in the itinerary. Also charters normally include free places for group leaders. Most boats take 15 - 18 divers maximum. Moana is ideal for smaller groups. If you are planning a dive trip in Southeast Asia in the near future we suggest you bookmark our website for easy future reference. Sunrise Divers has been diving in this region for nearly 20 years and if you are looking for a liveaboard, we hope to hear from you soon! We wish you happy travels and happy diving! The Thailand diving high season is from October to May. All Thailand liveaboard schedules are online for the current season up to May 2019 and for the next season October 2019 - May 2020. Our Phuket dive center is also open during low season for day trips and PADI courses. Start planning your dive trip now! Liveaboard diving in Thailand is as popular as ever - early booking is highly recommended, especially for the more popular boats, though you can sometimes find last minute trips. There are also several boats with trips into the remote Mergui Archipelago in Burma (Myanmar). 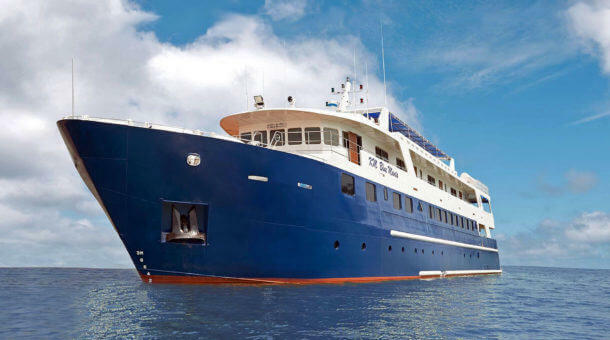 Indonesia (Komodo and Raja Ampat) liveaboard schedules are also online right through 2020. Komodo is the best place to dive during the summer May - October. Raja Ampat is the best Indonesia option from November - April. If you are looking for a liveaboard in Thailand, Burma or Indonesia, we hope to hear from you soon! The famous Similan Islands National Park and Richelieu Rock (part of the Surin Islands National Park) are the most popular destinations for Thailand liveaboards with some trips also covering Hin Daeng and the Phi Phi Islands. Liveaboards visit 2 main areas among the many islands of Indonesia - Komodo, famous for it's dragons and Raja Ampat which is called the 'Cradle of Biodiversity'. Diving is spectacular, marine life anything from pygmy seahorses to manta rays! The Mergui Archipelago is largely uninhabited, with hundreds of islands stretching 400km up the West coast of Myanmar. You might not even see another dive boat during your trip - dive Myanmar now before it really opens up to mass tourism!